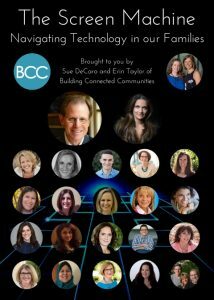 I am so excited about our upcoming online summit – The Screen Machine: Navigating Technology in our Families. This is a huge issue with parents and children everywhere, so my business partner and I were inspired to create a summit around this very topic. Our FREE summit will launch Jan. 15 and will run for 22 days featuring 22 experts sharing amazing bits of wisdom and insights with us. I would love to have you join us – you can sign up by clicking here! AND, she is offering an incredible year-long course called The Year of Manifestation which promises to be just incredible to live the life that you are meant to live. But hurry! Registration closes Tuesday, Jan. 9 at 9pm EST. Click here to join! Our summit is jam-packed with incredible guests. Tomorrow I will also be sharing an excerpt from Dr. Dan Siegel, a clinical professor of psychiatry at the UCLA School of Medicine and the founding co-director of the Mindful Awareness Research Center at UCLA. I hope you can join us!